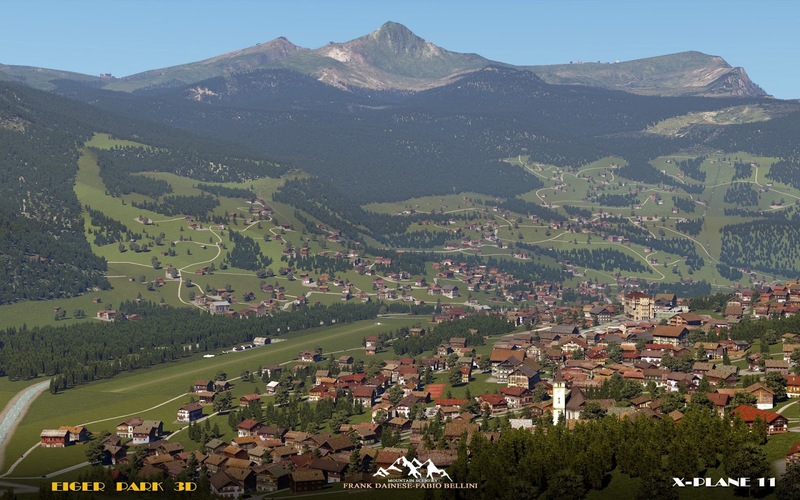 The 500 square kilometres of scenery will feature more than 4000 buildings, utilising over 70 unique 3D models. 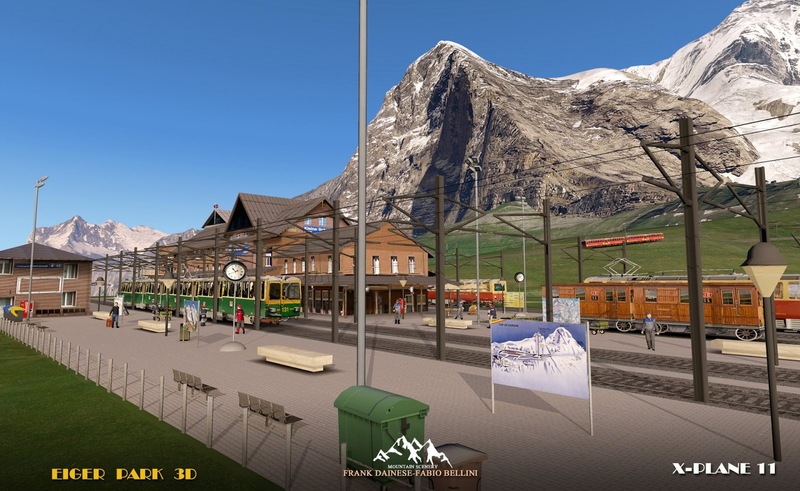 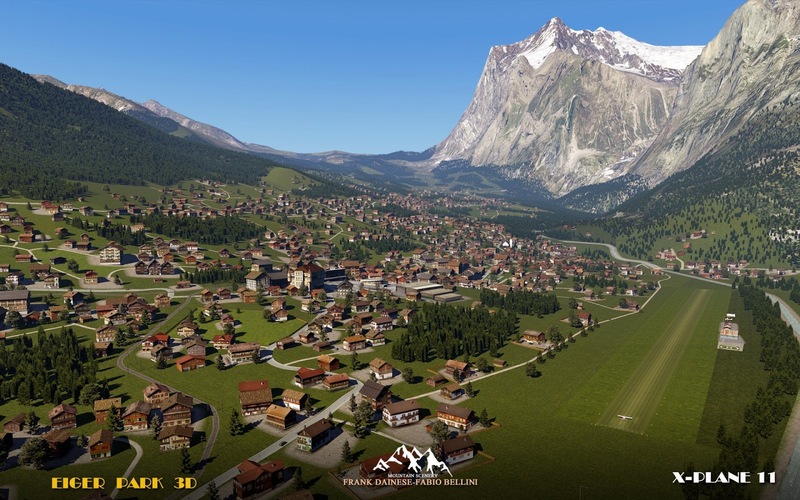 In addition, the grass airfield Grindelwald and 9 heliports, as well as 13 ski lifts, will also be included. 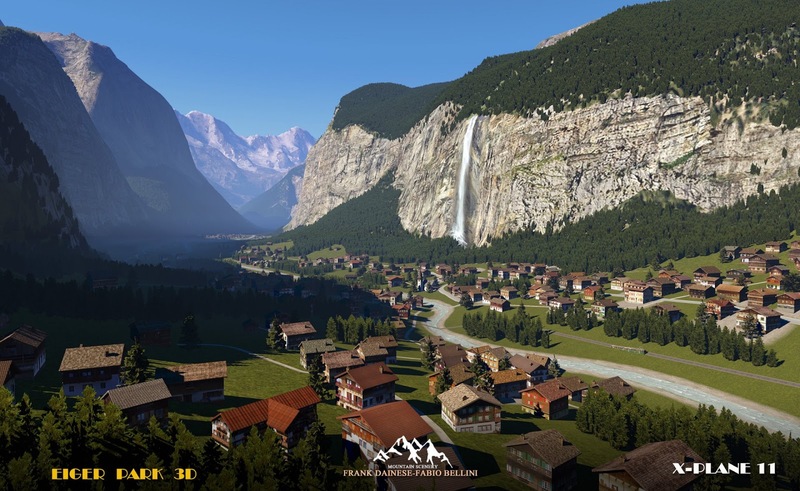 Wengen, Stechelberg, Murren and Gimmelwald (as well as its waterfall) will help complete populous towns within the district of Lauterbrunnen. 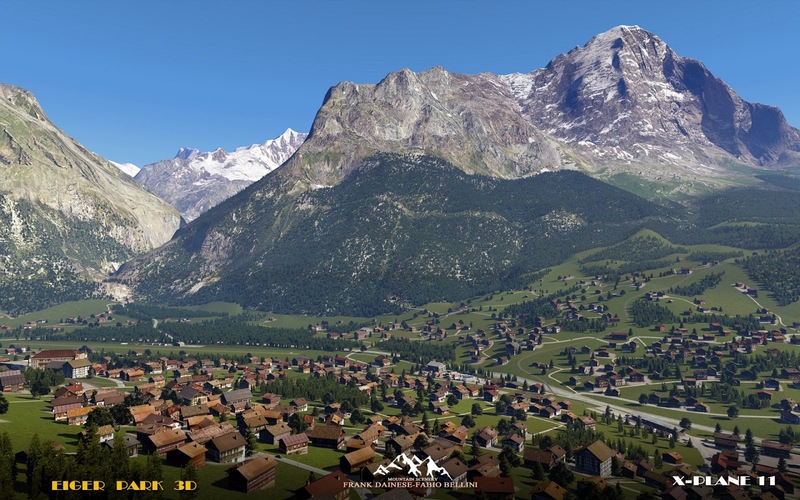 The post can be viewed on their website. 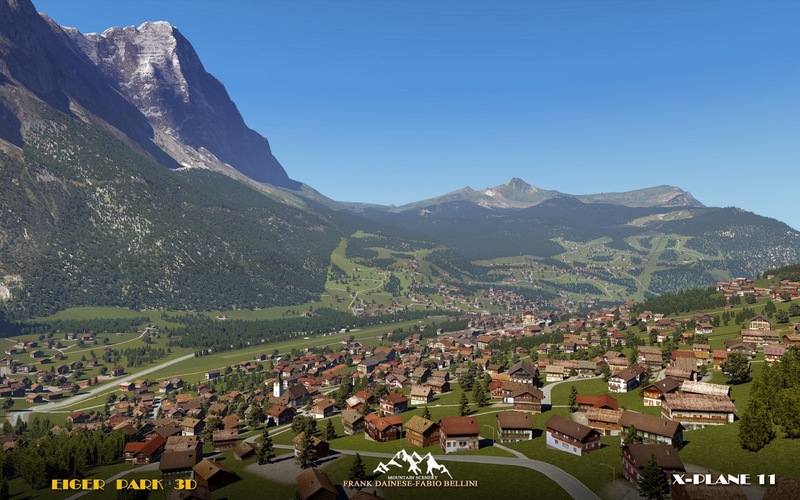 The scenery was originally announced two weeks ago. 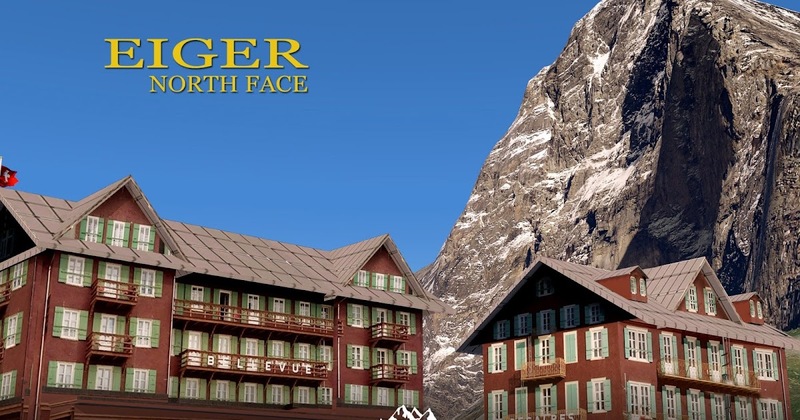 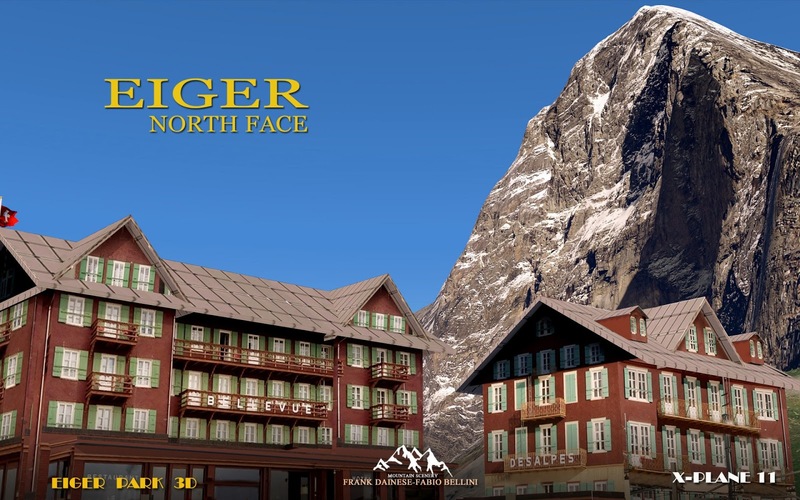 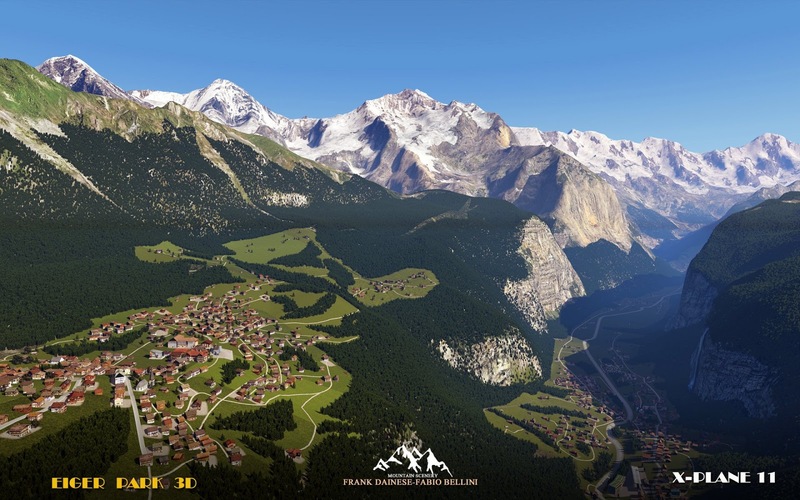 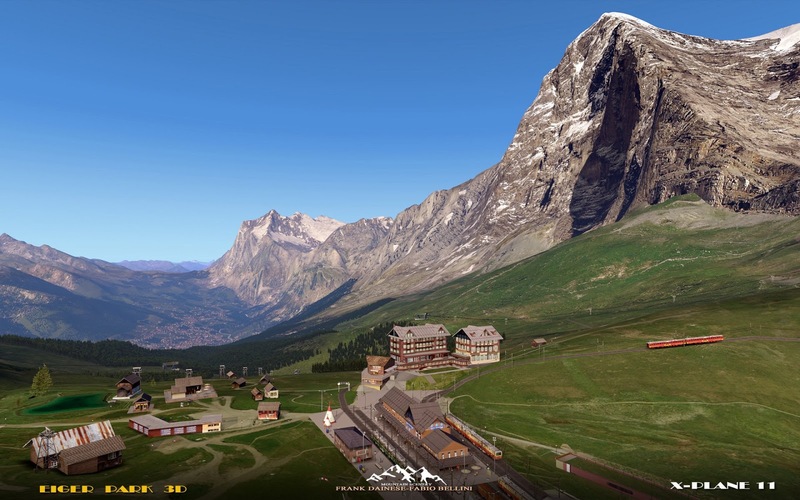 Frank and Fabio continue working on their Eiger 3D, with screenshots of Eiger mountain and the scenery beneath it. 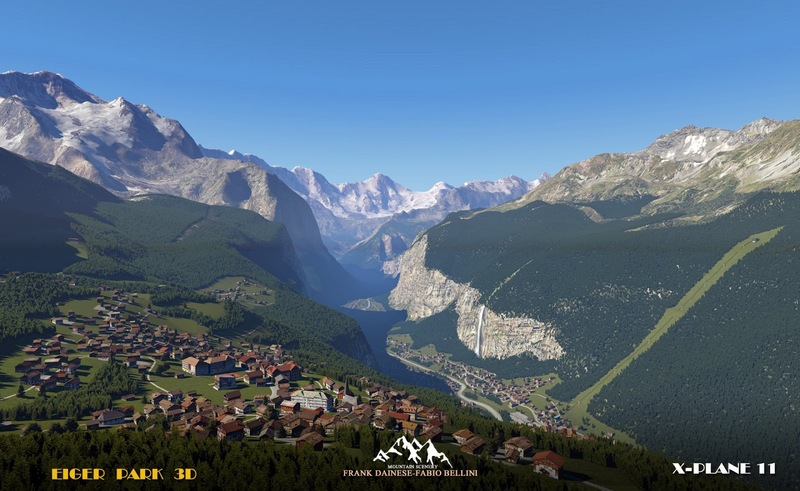 They include a waterfall, custom 3D models and more. 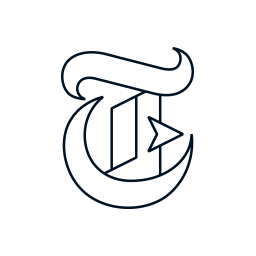 | Threshold: Question the Answers.